The federal government will not reveal to the public the estimated price tag of what is possibly the military’s largest looming maritime purchase to date until it has the government has signed an actual contract, according to Minister of Public Service and Procurement Judy Foote. Is Canada’s NSPS headed for troubled waters? Is the “leaked” CSC doc a casualty in the Weaponization of Public Affairs? “We have seen how these estimates cause confusion. We will be developing procedures to ensure that accurate and timely costing information is provided to Canadians,” said Foote. The agreement to build the warships is not expected to be signed until 2019. The minister said the move to keep a lid on the cost estimates concerning the CSC is part of a new game plan her office is adopting keep the National Shipbuilding Procurement Strategy (NSPS) under control. She also said that “work is underway to determine a new costing approach” and that she intends to double the number of staff working on the NSPS. 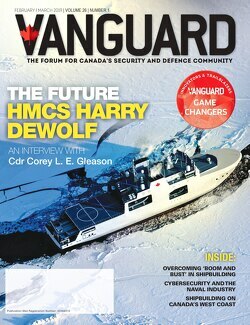 The CSC is the procurement project to replace the Royal Canadian Navy’s Iroquois class and Halifax class frigates with up to 15 new warships beginning in the mid-2020s as part of the $39-billion NSPS. The replacement vessels are envisioned to be larger than the Halifax class and will likely provide wide-area air defence and anti-submarine warfare capabilities. The actual number of ships will depend on the budget allocated for the program. The NSPS was launched by the Conservative government in 2010. The strategy was broken into three sections; the combat package, the non-combat package, and the smaller vessel package. Companies that won one of the larger ship packages were not able to bid on the smaller vessel package. Irving won the largest chunk of the NSPS which is the CSC. Seaspan of Vancouver got the smaller Arctic Offshore Patrol Ship (AOPS) program. Quebec’s Chantier Davie ended up with the much smaller $587 million civilian tanker retrofit program. The NSPS has been dogged by delays and controversies. The price of the 15 warships that were to be procured for the Royal Canadian Navy’s (RCN) Single Class Surface Combatant Project has more than doubled from the initial $14 billion price tag to more than $30 billion, according to a report by the Canadian Broadcasting Corp. (CBC) News. This means the total cost $26.2 million approved by the government for the purchase of those 15 ships and an additional six Arctic Patrol Ships, will cost about $16 billion more and balloon to $42 billion. For instance, Foote said, the Conservatives did not update their initial shipbuilding cost estimates to take into account for inflation, exchange rates and changes in material cost. “This is the main reason why projects appeared to be vastly over budget when actual contracts were signed,” the minister said.